Anna Gabriel: refuge in Switzerland, with difficult extradition? Former parliamentary deputy for the CUP, Anna Gabriel, has been called to appear in the Supreme Court this Wednesday, 21st February. 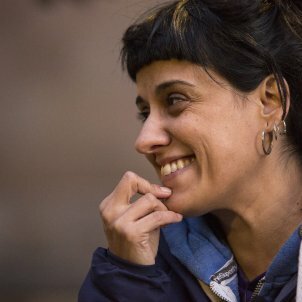 However, after days in which her whereabouts were unknown - with all sorts of speculation appearing, including in particular the suggestions that she was in Venezuela or Cuba - the pro-independence CUP (Popular Unity Candidatures) has stated in a press release that Gabriel is in the Swiss city of Geneva, where she has contacted a lawyer who is expert in extradition cases. Gabriel has traveled to Geneva in recent weeks, accompanied by members of her political party. Within the context of preparing the defence for the general case that is being heard in the Supreme Court, the party considers that giving the case "an international dimension is absolutely central". The intention of the former deputy in her visit was to contact international institutions, organs and lawyers linked to defending civil and political rights before the European Court of Human Rights. One option of the CUP representative would be to stay in Switzerland, which, although a country with a treaty of extradition signed with Spain, has a judicial system which could lengthen the time that would elapse before a hypothetical turnover of Gabriel to Spanish justice. As in Belgian law, the Swiss Criminal Code does not define the crimes of sedition or rebellion. #Gabriel Golpe de efecto estilo Puigdemont. La defensa helvética de la diputada cree q la falta de reciprosidad (negativa de España a entregar a Falciani a Suiza) asegura q no será extraditada. Ekaizer asserts that Gabriel's lawyers believe that Swiss justice will not extradite the former CUP deputy because of what happened with Hervé Falciani. Falciani extracted information on more than 130,000 tax evaders from the Swiss subsidiary of the HSBC bank, which enabled several countries to uncover multiple cases of tax evasion. Hervé Falciani took refuge in Spain and collaborated with Spanish justice, so that when Switzerland asked for extradition, it was denied. As a consequence of this refusal, Ekaizer claims that between the two countries there is a lack of reciprocity and for this reason considers that Anna Gabriel will not be extradited if she decides to stay in Switzerland instead of turning up for her Supreme Court hearing. This Tuesday, 20th February, the CUP will clarify all the information on Gabriel's scheduled declaration before the Supreme Court, and whether she will definitively go into exile.The CUP press release recalls that the decisions taken on prisoners up to now in relation to preventative measures, high bails, prohibition from leaving Spain, but especially, the prison decreed for two Catalan ministers and the two leaders of the civil groups ANC and Òmnium Cultural, "place us in a scenario where we are forced to denounce the exemplary sentences that judges are trying to impose". Gabriel has been summonsed to court on Wednesday, although initially she had already been called to appear on the 14th, the same day as her colleague Mireia Boya. Her lawyer asked for the delay because she had another trial. 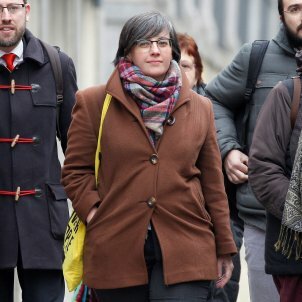 Before Anna Gabriel's scheduled testimony, appearance will already have been made by the general coordinator of the PDeCAT, Marta Pascal, the secretary general of ERC, Marta Rovira, previous Catalan president Artur Mas and the ex-president of the Association of Municipalities for Independence, Neus Lloveras.